Patience is a virtue, but when it comes to technology, my patience is limited. If what I am doing takes even a few seconds more than I expected it to, I’m likely to move on pretty quickly. For example, I recently signed up for a new app. I would describe myself as a moderately interested user: I was willing to try it. Before long, the app introduced an update, which caused problems with logging in. I received an email from the company apologizing and promising to resolve the issue. But even after I tried their steps to take care of the problem, I still couldn’t log in. Being only moderately interested in the first place, I stopped using the app. User experience is critical. When building your WordPress site, it should be as easy to use (and as appealing to look at) as possible. You probably already know that online users value ease of use as well as strong aesthetics. HubSpot, however, has gathered data demonstrating the importance of those qualities. If a site has trouble loading, 39% of users will stop engaging with it, as will 38% if it is ugly. Did you know that there is certain information visitors want to be able to find on your site? Fifty-one percent of users believe that company contact info is not detailed enough, and 44% will leave the site if that info is completely absent. After arriving on the homepage, over half of visitors want to view the “About Us” section. I resonate with this stat in particular. When browsing the web, I constantly check that section to determine the nature of the sites I visit. And this is not even to mention the importance of optimizing your site for mobile. 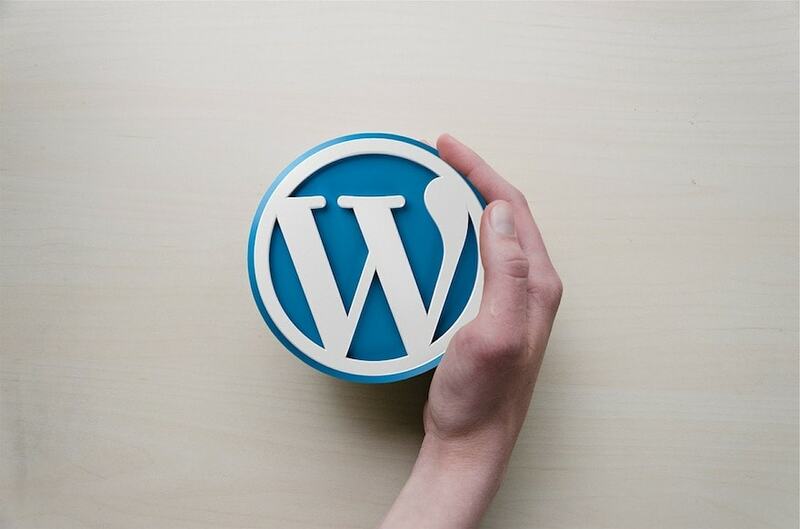 There are various website building platforms you can choose from, but there are reasons why WordPress is one of the most popular options. Not only is it free, but it is easy for beginners to use, and it also has a great support community. Most of the themes are mobile/tablet friendly, and it works well with sites of different sizes. These solutions are reliable and extremely affordable, with some only costing a few dollars per month. After you’ve installed WordPress, your next step will be choosing a theme. The theme that is best for you will really depend on the purpose of your website. Are you an ecommerce business? Are you primarily concerned with blogging and getting content in front of your readers? Or are you a freelancer or business owner who wants to feature your work to prospective clients? In the first case, your primary goal is conversions or sales. In the second, your focus is content. And in the third, you want to be hired or for people to sign up for your services. Make sure the theme you choose supports the purpose of your site. For best optimization, you also need to make sure your themes are mobile friendly. Do your research ahead of time to make certain they are and also that they are coded well. In addition to themes, you’ll want to select your site’s plugins. You can get a plugin for just about anything you might want to do, from creating pop-ups and map routes, to maintaining security or managing your SEO. WordPress.org has over 49,000 plugins from which you can choose, some free and some not. Remember to be purposeful with your choices. If you go crazy getting tons of plugins, you’ll slow your site down. But individual plugins can also be slow. You might consider getting a plugin that can monitor the overall performance of your site, including your other plugins. Next, create the particular pages you want for your site, as well as any content you would like to add. Remember, as we noted earlier, the About Us page is very important to users, as is finding your contact information. HubSpot also reports that when people land on your home page, 86% expect to learn about your product. Forty-seven percent of them will look at that information before going elsewhere on your website. Statistics also show that the navigation is important to visitors and that 36% of them expect your logo to take them to your home page. So it is extremely important to make sure your site’s layout meets your goals and to know your users’ expectations. Once you’ve added pages with content, you can customize your design to be on-brand, clean, and beautiful. Images can make your site speed extremely slow. Make sure you resize and compress them using sites such as compresspng.com or compressjpeg.com. Don’t let deleted content collect in the trash. If you have six revisions of a post saved on the site, it will take up six times the amount of space that one draft will. Pingbacks, trackbacks, and spam comments can also slow you down. Configure your settings to prevent yourself from losing unnecessary space. Before you get excited about building something new, you need to have a clear idea of your objectives. You should know your audience members and what you want them to do on your site. And even if you think you have a good idea of your goals, it never hurts to re-evaluate where you are. I know of a 10-year-old startup that just recently re-examined its marketing strategy and found the process helpful. The more refined and coherent your plan is, the more effective it will be. WordPress is the best platform out there. When I decided to get rid of blogger, I considered both WordPress and Joomla and chosen WordPress. I think its the best decision I made. While choosing a web host we should consider their speed, support and security too, as WordPress is famous CMS, hackers are all over trying to hack into websites running on WordPress. Great post Jessica! When choosing a platform or hosting service make sure that they really offer what you need for your website. Seeking for the help of web development service provider could help you ensure that your your WP website is professionally made to cater the needs of your target audience. Thanks, Noelle! Yes, meeting the needs of your target audience specifically and creatively is extremely important. I think it’s worth thinking about what you will do once your website is built too! Having a company provide WordPress support and maintenance as you grow can keep your brands reputation intact and allow you to focus on growing your business! Hi Steven. Absolutely. Thinking about the long-term needs of your site is important. Thanks for reading! HI Jessica, very intertesting on the about page but I do visit them when I land on a site for the first time. You want to be able to trust that new site when you get there. I recently redid mine but I may refine it some more after reading this. Thank you. I think speed is another important factor- there is no time for slow sites anymore on the web! Thanks for sharing these tips Jessica and have a great day! You too, and thanks for reading! Thank you for sharing this great post. This post helpful and useful for many people and in this post good explanation for building wordpress site and for that good explanation in detail that helps people. Thanks for this information. I’ve backed up my site again and swept it. I didn’t realize people paid so much attention to the About or Contact page, so I’ll remember that and give it more attention. That’s great, Janette. Except for the fact I always look at the About page myself, I also didn’t realize those pages were important to so many people until I did the research. Thanks for your awesome article. According to your opinion, what is the best hosting provider for WordPress website? very useful and helpful tips to use WordPress. It’s very easy to use and maintain the other problems in text or visual. It’s very easy to use for beginners.In WordPress, we use plugins like plagiarism checker or others, which make so easy to use. Im uses sahifa theme.in WordPress, we do resize or crop images very easily. Overall, it’s great. You’re welcome, Zeeshan. I’m glad the post was helpful to you. Thanks for sharing information about word press website craetion.most of people forget basic thing in building wordpress based website your article will give complete guide how to prepare website . Rudra Ramya Sree would love you to read ..Basic Forex Trading Strategies for Beginners. WordPress is what I am using for my sites. I found it great when it meet my expectations. It’s great when creating landing pages. It’s good to hear you’re benefiting from it!